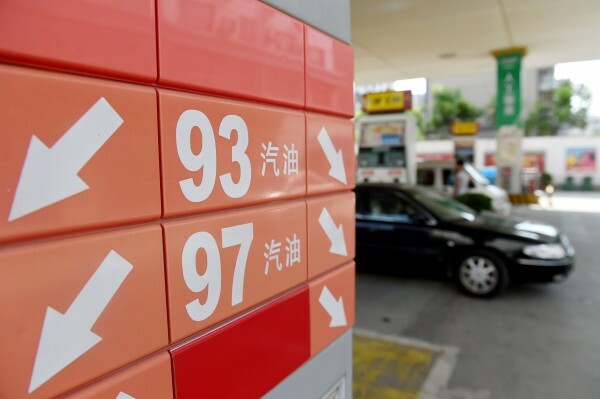 While Chinese consumers have for the past two years enjoyed the low prices at the pump, there is a reverse side to that fortune: with global oil prices still far below their 2014 levels, energy producers such as PetroChina have seen their profits slashed. PetroChina, the country’s leading oil and gas producer, announced on Saturday that its net profits have plunged by 94.3 per cent year on year in the first three quarters of 2016. PetroChina filed reports with both the Hong Kong and Shanghai stock exchanges saying its net profits attributable to shareholders were 1.73 billion yuan ($256 million) thus far. The Chinese fiscal year begins in January and ends in December. The company said it was affected by the slow recovery of the world economy, downward pressure in China and increased domestic competition. In 2014, the price of a barrel of oil in international markets stood around $114. On Friday, oil prices had fallen below the $50 mark. PetroChina’s crude output fell to 696.6 million barrels in the first three quarters from 722.9 million barrels a year earlier, Reuters reported. China has tried to reign in the costs, reducing crude oil output by 9.8 percent in September to 3.89 million barrels per day. The sharp decline came following a record 9.9 percent drop in August, indicating that the world’s largest energy importer is working towards an efficiency drive to help rebalance the oversupplied global market. Organization of the Petroleum Exporting Countries (OPEC) and non-OPEC countries have tried in vain over the past year to reach consensus on means to curb output and push prices back up. A meeting of OPEC officials in Vienna on Saturday again failed to reach agreement when Iran – fresh off US and EU imposed sanctions – said it would not lower its production output.